This June, the two new versions of the BMW 8-Series Coupe, the 840d and the M850i xDrive made their long-awaited official debut. It comes just under a year after the release of BMW’s concept at villa d’Este Concorso d’Eleganza in Italy last year. As the newest addition to the 8-Series in almost 20 years, this comes as one of the most highly anticipated releases in BMW history, so a pretty big deal. The new 8-Series holds a distinct, bold and unique look, holding little resemblance to all other current and previous models from the German manufacturer. It is expected that this refreshed look will be filtered down into all future BMW models, as well as influencing other major competitors’ designs, making it a rather notable car. 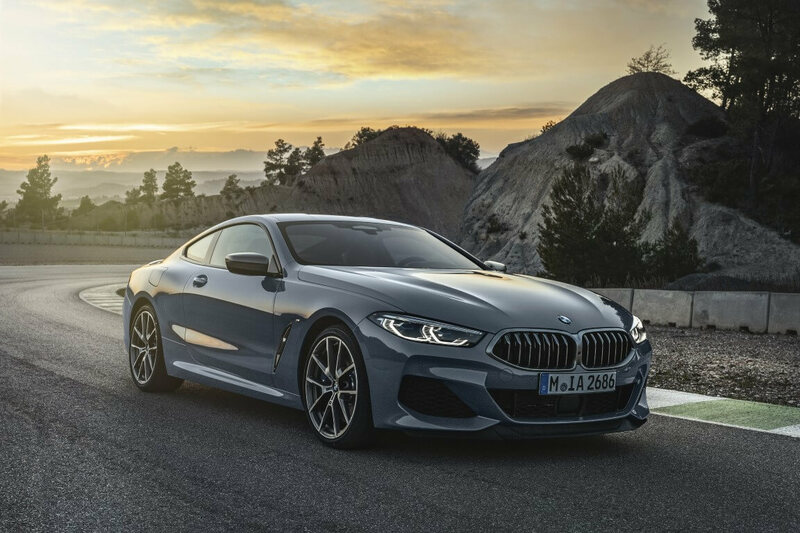 The new BMW 8-Series Coupe’ game-changing good looks aren’t the only area where these new releases excel, the new BMW 8-Series models boast some impressive performance stats: the M850i can sprint from an impressive 0-62mph in under just 4 seconds, and has a limited top speed of 155mph. Despite a faster engine than the one it replaces, there has surprisingly been no slashing of its weight. The 840d is the entry-level model of the 8-Series, and it comes powered by a turbo 3.0-litre straight-six engine, giving 316bhp, 500lb-ft of torque and ability to accelerate from 0-62mph in as little as 4.9 seconds. And it only gets better from here, an even speedier and sportier M8 version is due for release next year. Hold tight! How Much Does the 2018 BMW 8-Series Cost? An official announcement says the 840d will cost £76,270, while the M850 xDrive is set to be priced at £100,045. Both are expected to go on sale in November this year. Although prices are yet to be confirmed for the upcoming M8 coupe, it is expected to be valued at £130,000. In the meantime, if you are on the lookout for a BMW, whether it be new or used; a 1-Series, 7-Series; or anything in between, we have 100s of deals available for you. Apply here, give us a call on 01254 916 450 or drop us an email at info@hippomotorgroup.co.uk.